SERVING ITS COMMUNITY - The Rough Notes Company Inc.
Flipping hamburgers at an outdoor barbecue may not seem like a strong marketing tool for establishing an agency as the trusted advisor for people and businesses in the Frankfort, Illinois area, but it was. 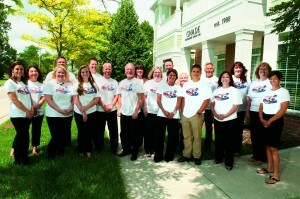 It was yet another way that the people at Gnade Insurance showed their support for the community they serve. In this instance, the barbecue was the brainchild of the agency’s leading producer, Jim Smith, president of commercial lines, who, along with his wife, Gayla, started the effort in their backyard. In 2012, Jim and Gayla hosted a BBQ in their backyard to raise money for the Stephen Siller Tunnel to Towers Foundation. The foundation, through Building for America’s Bravest, builds “smart” homes for the most severely injured service members. In that first year, the BBQ raised $2,000 and was adopted by the Gnade Agency, which became one of its principal sponsors. Now in its fifth year, it has morphed into the Midwest BBQ for the Brave and has increased the money raised more than tenfold. Sitting from left: Dan Bernard, Insurance Broker and Bryan Gnade. Standing from left: Jim Smith, President of Commercial Lines; Christina Hrebic, Vice President of Commercial Lines; Bob Greenfield, Senior Insurance Consultant. Not pictured: Wendy Elmlund, Senior Insurance Consultant. The Gnade Agency opened its doors in 1989 after Gary Gnade realized his dream of “going on my own. 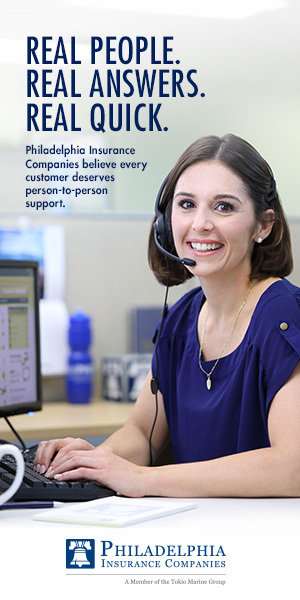 I had been working as a life agent with Prudential. My biggest problem was getting a property/casualty contract,” Gary remembers “Finally, in 1993, I convinced John Deere to give me a chance and was able to offer property/casualty coverages to my clients. In 1996, Safeco offered me a contract and I could really expand into the P-C field. Several other companies followed. 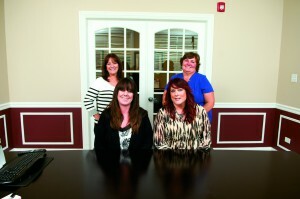 “We started out as a three-person agency, with my wife, Kimberly, and I and one other staff member doing all the jobs. Because we had four children, Kimberly decided to divide her time between the agency and raising our children, which allowed me to focus on growing the agency into a strong presence in the community,” Gary notes. The agency began adding to its staff as the opportunities grew and, in 2000, Gary made a propitious decision when he brought Jim Smith, another life agent who had worked with Prudential, on board. Like Gary, Jim was able to shed his life insurance background to become a successful property/casualty insurance agent, emerging as the agency’s leading commercial lines producer. Today, Gnade Insurance has some $2.4 million in revenue and 20 employees. Life and health insurance account for about $400,000 of the revenue, with the balance divided 60/40 between commercial lines and personal lines, respectively. Sitting from left: Rochelle Krouse, Personal Lines Specialist, and Charity Weber, Personal Lines Specialist. Standing from left: Jeanne Dominy, Personal Lines Specialist, and Christine J. Broholm, Personal Lines Manager. 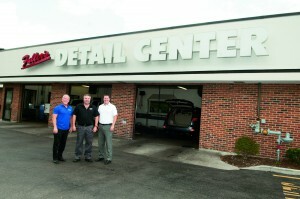 “Jim really helped us build our commercial business by knocking on doors and developing new accounts,” Gary says. 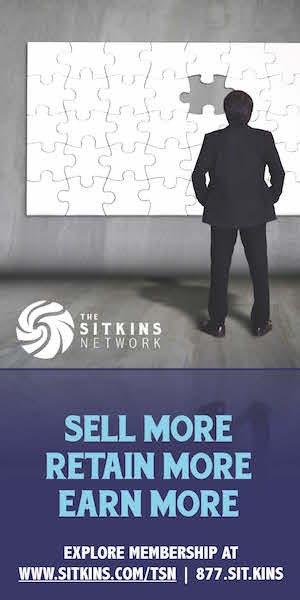 “We already had a good reputation in the community that helped his efforts, but we quickly learned that the better way to develop business was through referrals so that cold calls became warm recommendations. “Jim had a very good relationship with the owner of a car wash who was happy to recommend us to his friends in the business,” Gary continues. Jim seized on that opportunity and asked his clients what he should be doing to increase awareness of the agency in that niche. They recommended the Chicagoland Car Wash Association. 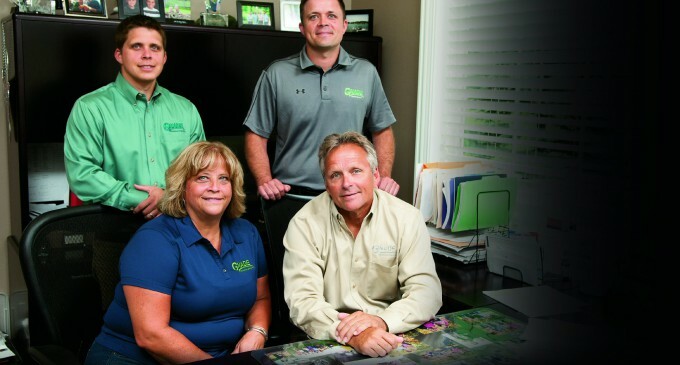 “We joined that association and remain a proud member,” Gary says, pointing out that Gnade Insurance has become the “premier car wash insurance agency in the Chicago area, insuring more than 100 car washes in Illinois, Indiana and Wisconsin. Sitting from left: Scott M. Elmlund, and Nicole Clemans, Insurance Consultant. Standing from left: Niki Block, Account Manager, and Jeannine Blase, Account Manager. In 2009, the second generation joined the agency and brought with it a skill set that has helped the agency get the word out about its expertise in the digital universe. Gerard Gnade joined the agency after spending 10 years in the information technology business. “We’ve prided ourselves on having a young, enthusiastic staff that likes working here,” Gary continues. “But maintaining that youthfulness is problematic because people do tend to stay here. The majority of our people are in the 30 to 40 age range, but we recognize that there’s a whole generation coming up that isn’t represented. So we are looking to bring in people in their 20s to try and keep us on our toes. We recently hired a 22-year-old who’s working out very well. In 2012, Jim and Gayla Smith hosted a BBQ in their backyard to raise money for Building for America’s Bravest, a proud program of the Stephen Siller Tunnel to Towers Foundation. They help build specially adapted, custom-designed smart homes to help restore independence and improve the quality of life for our nation’s most catastrophically injured service members. Jim and Gayla asked for a $20 donation and raised $2000 the very first year. The BBQ has continued to grow, and has become a highly anticipated annual event, having now donated tens of thousands of dollars to the cause. In addition to supporting the BBQ for the Brave, Gnade Insurance people are involved in helping with staffing for summer concerts and other community-sponsored events, including “the fifth largest craft show in the country, where a couple of hundred thousand people come through our village during the Labor Day weekend,” Gary points out. “We also help out at an antique car event every Thursday. Rough Notes is proud to recognize Gnade Insurance as our Agency of the Month. Gnade has shown that small town agencies don’t have to abandon their roots in order to grow and succeed, but can continue to adhere to the values of good corporate citizenship that have been one of the hallmarks of the independent agency system and one of the reasons it remains the most successful marketing system in the insurance business.